If you want to gain knowledge about what are IPO’s, you should determine that IPO stands for initial public offering, which is also known and recognized as flotation or public offering. This procedure takes place when a certain company issues stocks that fall under classes of shares identified as common shares or stocks for the first time to the public. These stocks are most of the time issued by small or new companies in the market for their capital building to expand their business operations, though this is also carried out by privately held companies that desire to transform and trade their businesses as publicly held. When an IPO process is executed, the issuer or the company will have the opportunity to seek the assistance of an underwriter in the form of a bank, which will distinguish the type of security, if it is preferred or common to be issued together with the best soon-to-be-offered pricing of the shares and the time when it will become available to the market. Keep in mind that acquiring an IPO can be a very vulnerable investment, though the result of this process when appropriately and accurately accomplished is ultimately worthy and functional. 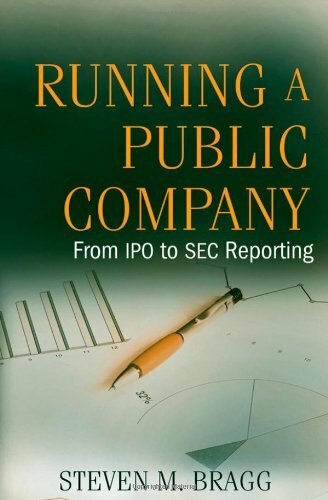 If you are new to public companies, it might help to first read why companies go public and how a company goes public. If you are an individual investor, you must anticipate difficulty in predicting the outcome of the shares and stocks you have in the first day of trading and even in the future, for the reason that there are little or no historical information that you can obtain, so you may not thoroughly analyze and examine the company. It is also important to note that companies who have initial public offerings, for the most part, are undertaking transitory growth and development phase that therefore situates you into improbability on the subject of their future value. If you want to comprehensively learn about what are IPO’s, you should recognize that making money through this requires you to take some calculated risks. If you are looking forward in putting your company’s shares on the lists of stocks for public exchange, you will need to issue new stocks and shares, so you can raise additional capital for your company. When an investor obtain your newly-issued shares, the payments for these stocks will set off directly to your company while exchanges made for later trade of shares, passes the funds between stock investors. As a result, IPO allows your company to be seen by several stock market investors, so it will be open to large volumes of funds for your company’s future growth. Another good thing about an IPO is that your company is never required to pay off the capital; rather the shareholders will have the right to the profits your company will earn in the future together with the distribution of capital when dissolution occurs. The numbers of underwriters or investment banks needed by IPOs generally rely on how big the company is. The basic procedure is that the company, which offers its shares known as the issuer, comes into a contract or an agreement with a lead bank or underwriter to sell its stocks or shares to the public. The underwriter eventually seeks the attention of investors with classes of shares to sell. The pricing or the allocation more commonly known as the selling of shares in an initial public offering may come in different forms. The common and most utilized procedures include firm commitment contract, best efforts contract, bought deal, all-or-none contract, self distribution of stock and Dutch action. Becoming skilled regarding what are IPO’s will let you become aware of the difference between large, small and multinational initial public offerings. For the most part, IPOs are generally underpriced in the United States and even globally. This step will assure the creation of interest of investors to the stocks after being available and publicly traded in the market. Through the initial under pricing, there could be significant gains and profits of investors who have purchased allocated IPO shares.